Spine surgery should have a second opinion. With all the latest technology, and testing, Physicians have many tools to access whether a person would benefit from surgery. In regards to Spine Surgery, these advances result in multiple opinions on the need for Spine Surgery, and the types of Spine Surgery. For this reason, a prudent patient should consider a Spine Surgery Second Opinion. After being in practice for more than 20 years, Dr. Shim realizes that experience is just that, knowledge gained by doing Spine Surgery, not just reading or studying Spine Surgery. Dr. Shim can provide a Spine Surgery Second opinion based on the individual’s needs. During the Second Opinion, Patients should explore the reason why they need Spine Surgery. Is the reason based solely on the MRI findings? Is the reason based solely on the complaints? Is the reason based solely on physical examination findings? In emergent situations, patients will not have the luxury of getting a second opinion, as there is an immediate limb or life threatening situation. In most situations, despite the pain, Patients should get a second opinion as there are now great variations on the recommendations, and Patients need to be able to sort through the choices, with all the marketing hype stripped away from the discussion. For your Second Opinion, please bring the actual images of the Tests, including available MRI’s, CT Scans, X-Rays, and nerve testing. Please also bring prior medical records from Physicians who have provided the prior Surgical recommendations. Come ready with questions about the diagnosis, the imaging findings, and the nature of the complaint. Please come with a good summary of the goals of surgery, and what has been effected by the spine problem. During the Second Opinion, Dr. Shim will review your tests, perform a physical exam, and review your goals of the surgery. Prior to your Second Opinion, we encourage you to learn more about Dr. Shim by visiting www.Shimspine.com. 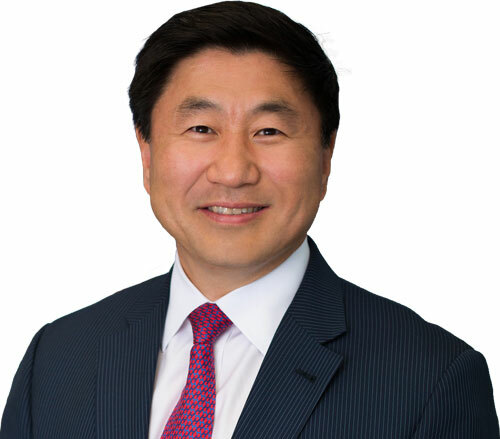 On the website, you can learn more about Dr. Shim, and why he may offer a more conservative answer, or suggest a less invasive, and less complex surgery than others. In the end, Dr. Shim will also assess whether your goals are realistic. Most dissatisfaction from Spine Surgery is secondary to a lack of good communication of the expected outcomes. During your Spine Surgery Second Opinion, the prime objective is understanding what the Surgery will do for your situation. Based on that Opinion, patients can then decide to move forward with the operation. A Spine Surgery Second Opinion should be a discussion of the expected goals and outcomes.